Heat oven to 350°F. 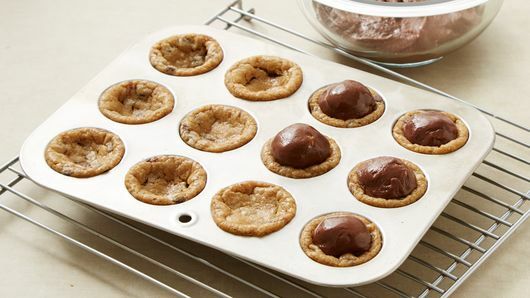 Spray 24 mini muffin cups with Crisco® Butter Flavor or Original No-Stick Cooking Spray. 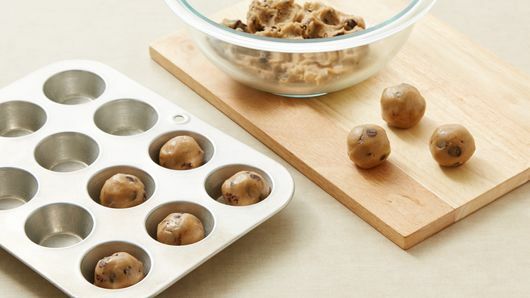 Shape dough into 24 (1 1/4-inch) balls. 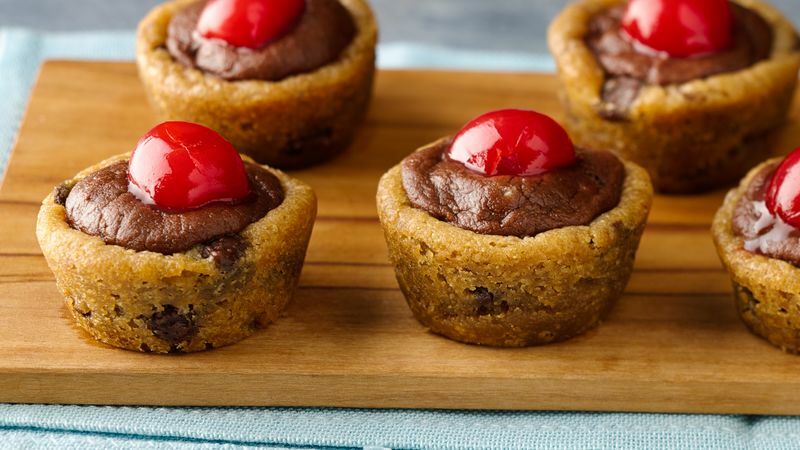 Place 1 ball in each muffin cup. Bake 8 to 16 minutes or until light golden brown. Do not overbake. 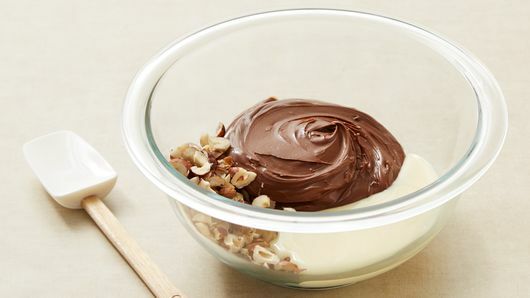 Meanwhile, in medium bowl, mix hazelnut spread, condensed milk and hazelnuts until well blended. Shape into 24 (1-inch) balls.